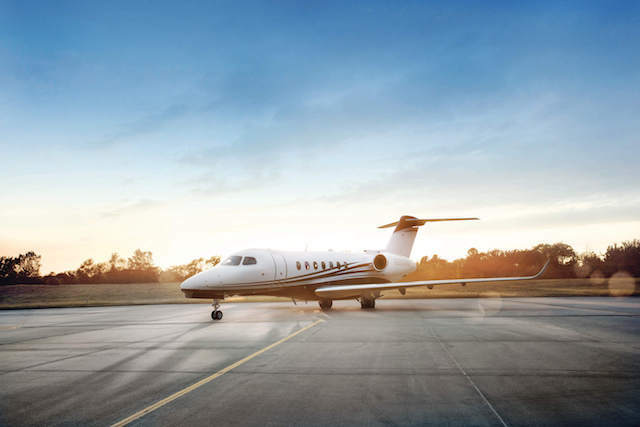 The Longitude has been quoted to be, “The evolution that will lead to a revolution.” This new, cost-efficient aircraft, by Textron Aviation, is a design that redefines the standards for business air travel and private jet ownership. It’s time to experience the most relaxed air travel adventure with the Cessna Longitude. 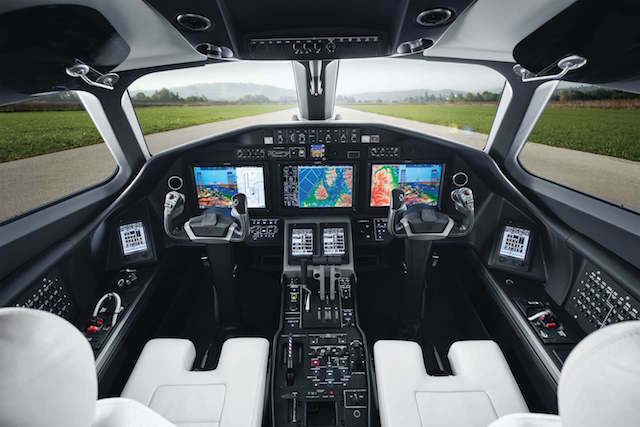 This new super-midsize aircraft offers the premium standard of safety through the use of high tech LinxUs software. This software monitors the aircraft one hundred percent of the time. Before landing, the LinxUs system will send any alerts or notifications to ground engineers via wifi. This feature allows for minimization of time spent looking for potential issues. Another benefit to owners with the Longitude is that the aircraft offers the most extended maintenance intervals for an aircraft in its class; only needing service once every eighteen months per 1800 flight hours. This allows passengers to spend as much time as they can utilizing the aircraft to its maximum capabilities. 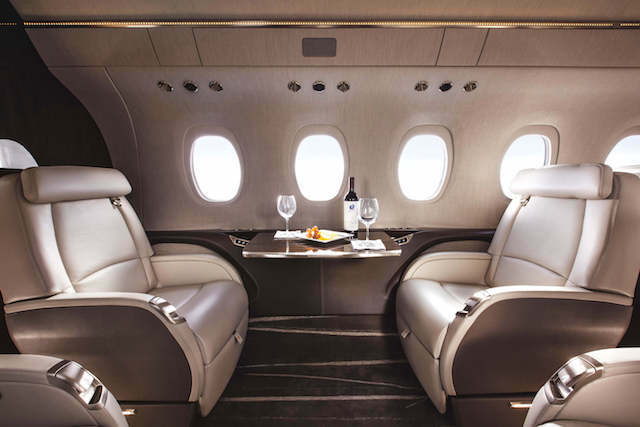 Whether passengers need to bring the office along for the journey or prefer to relax during the flight, the Cessna Longitude offers everything necessary for an exceptional ride. The midsize jet comes with a fully stocked galley— entirely customizable to passenger preferences. Business travelers appreciate the ultra-fast wifi that is a standard feature on all Cessna Longitudes. Additionally, the luggage compartment is easily accessible from inside the cabin, offering guests more space and convenience during a flight. At a cabin pressurization of under 6,000ft, passengers on the Longitude enjoy decreased amounts of jet lag and increased levels of in-flight comfort. 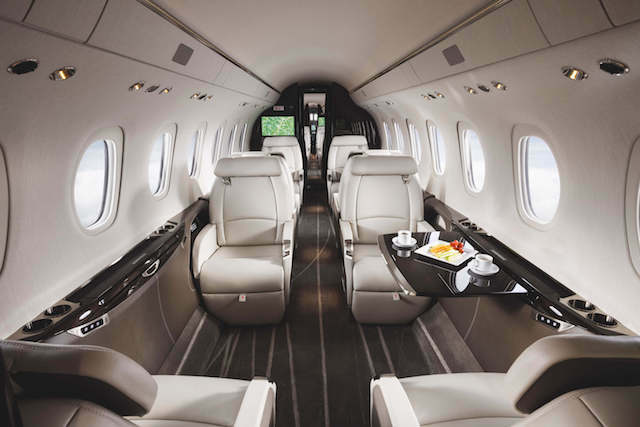 For a midsize jet, the aircraft offers an incredibly roomy cabin with dimensions suitable for even the tallest of travelers. Comfortably fitting up to twelve passengers, guests enjoy the in-flight luxury of the Longitude’s soundproofed and spacious cabin. The Citation Longitude will be on static display at Clay Lacy Aviation in Van Nuys, CA on December 8th. A prior reservation is required and can be requested through Textron Aviation’s website.